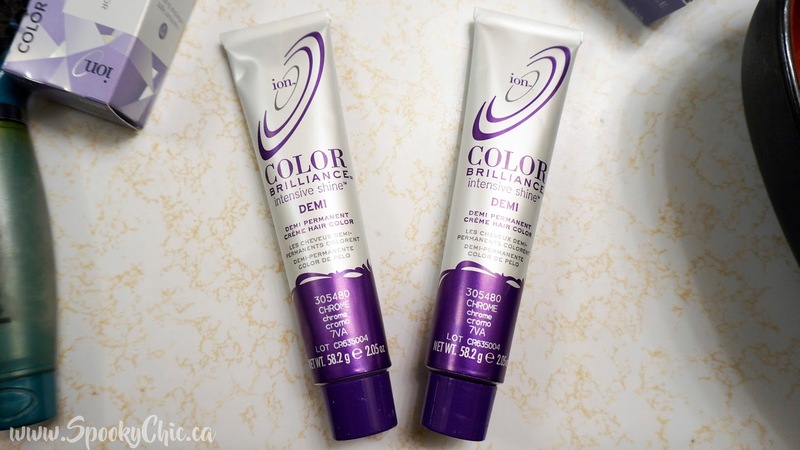 Recently my mom decided she wanted to change up her hair colour and I thought why not show you all since when I was searching for other reviews of the dye there were very few! 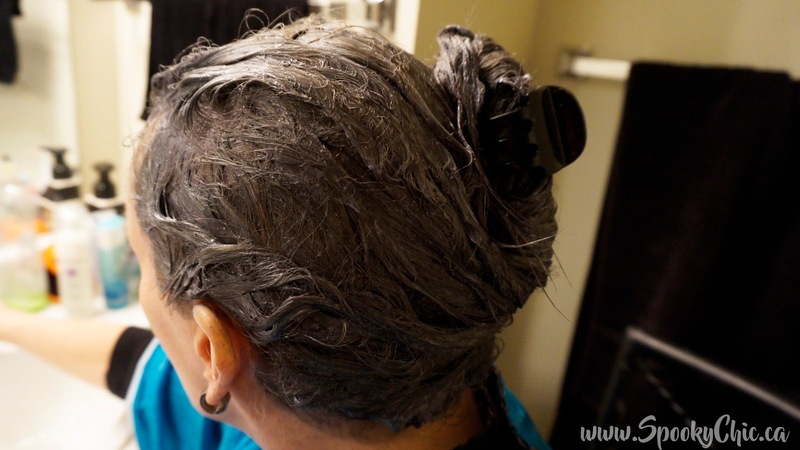 She wanted to change her usual bleach blond hair to an ashy grey and so we took a trip down to Sally's Beauty Supply to see what they had to offer for colours. We opted for Color Brilliance Demi Permanent in Chrome and hoped for the best since it looked a little dark on the swatch! 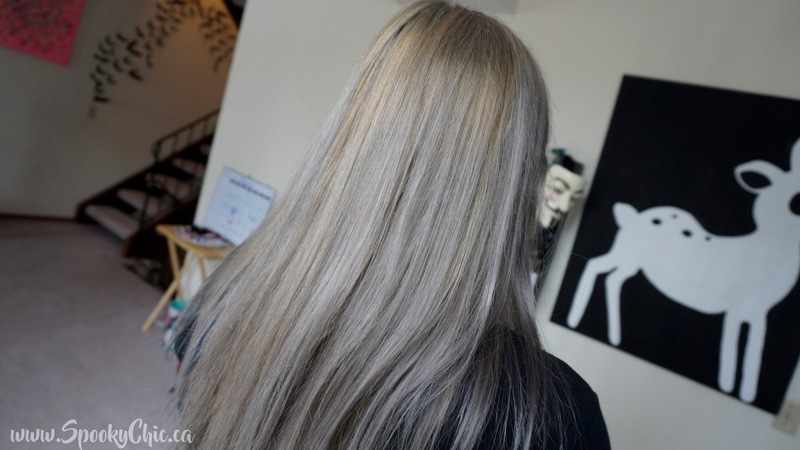 Since her hair was quite brassy we knew we had to bleach her grown out roots and tone her hair before applying the dye since we wanted to avoid any unwanted green tones. I didn't get a picture between bleaching and toning unfortunately. We used a 20 volume developer with a lightening powder and then a 10 developer with Wella Toner in T18 Lightest Ash Blond. In between the bleaching and toning we waited a day and I sent her home with a deep conditioner that she had in her hair overnight and in the morning she washed her hair with a purple shampoo to help tone it even further. We used two tubes of colour with a 10 developer for minimal damage. After applying the Chrome colour this was our results! Her hair could have used more toning but our goal was to make it more ashy, not necessarily grey like the swatches in the store showed. 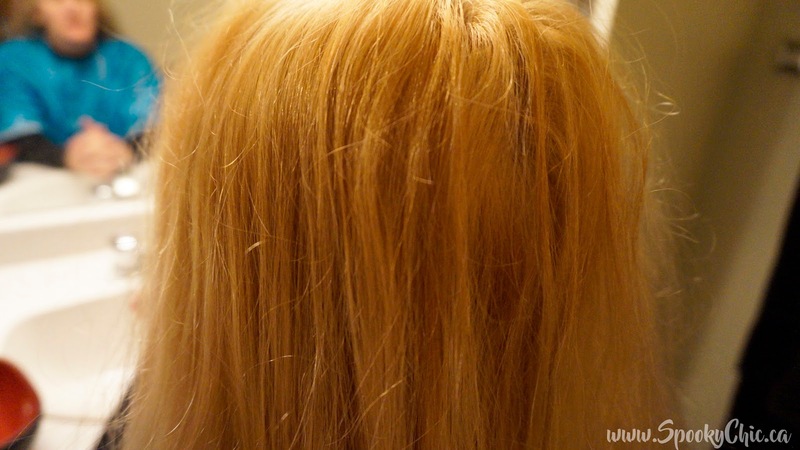 In the photo below her hair does appear more streaky than it did in person as the more blonder parts weren't actually as blond as they look. 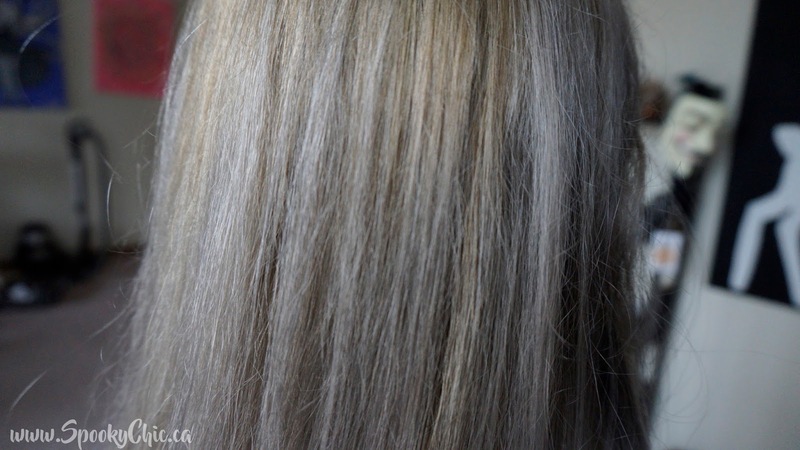 She has been using the purple shampoo and that's helped to upkeep the colour and the more intense grey tones have toned themselves down and it's looking very beautiful and ashy! In a few weeks we'll most likely go back with another toner to even out everything and hopefully achieve a brighter colour.